KRE is dedicated to refining current land management practices and empowering land stewardship of our ecosystems. We believe and strive to create the balance between human needs and the ecology, which sustains us. 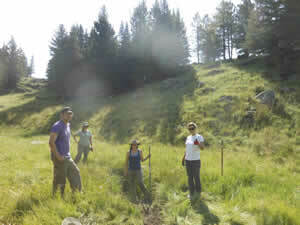 Our past projects continually demonstrate the potential of the land and together we can make a difference. Keystone has partnered with government agencies and organizations to instruct a diverse clientele including regulators, resource managers, youth, and interested volunteers. 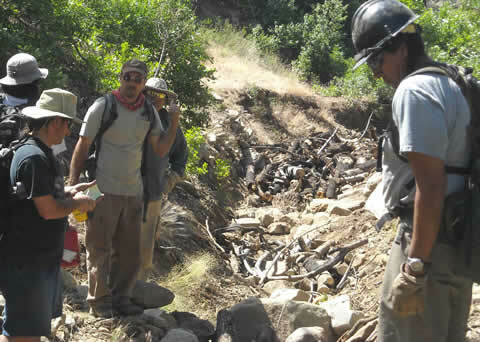 Many of the techniques implemented by KRE can be built by hand allowing communities to participate in renewing their watersheds. In addition to professional training KRE provides skill-building, hands-on workshops for work crews, landowners and community members. Trainings have been given in all of these topics. 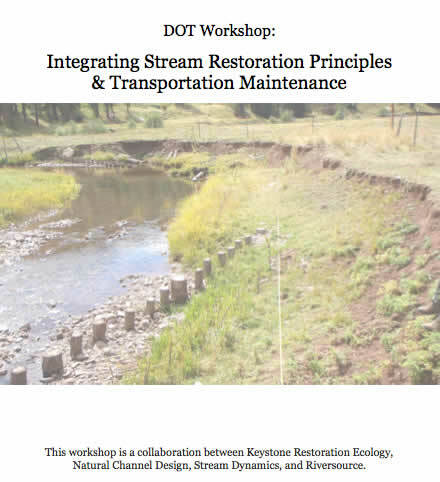 Keystone Restoration Ecology partnered with Stream Dynamics Inc. and Natural Channel Design Inc. to give a training on road crossing design to the NM Department of Transportation. 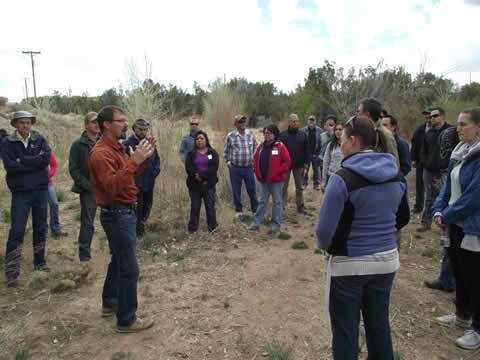 The thirty-eight attendees included engineers from the NM DOT, several Native Tribal Nations, and the City and County of Santa Fe. 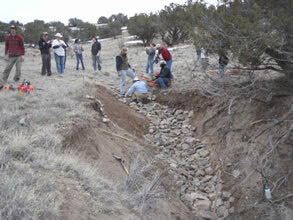 Keystone Restoration Ecology and Stream Dynamics Inc. gave a three-day restoration design training for Resource Professionals in the Valles Caldera National Preserve in the Jemez Mountains of New Mexico. 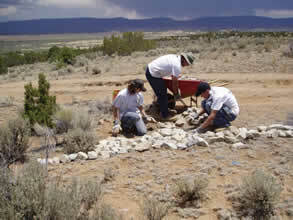 The attendees were split into three assessment teams and taught to assess and design using Induced Meandering and Natural Channel Design techniques. Working in conjunction with Scott Pittman of the Permaculture Institute and Gino and Molly Antonio of Pollen Tracks, KRE led a five-day intensive training on small scale erosion control techniques. Participants were instructed in assessment and design, and their designs were implemented in the last two days of the class moving 40 tons of rock to construct structures.